No branding on these forms makes them flexible to use in any retail or home bakery. Use the add text option in Adobe Reader (or handwrite) to enter your own variables in the Base Price Worksheet, Order Terms, and Wedding Contract. 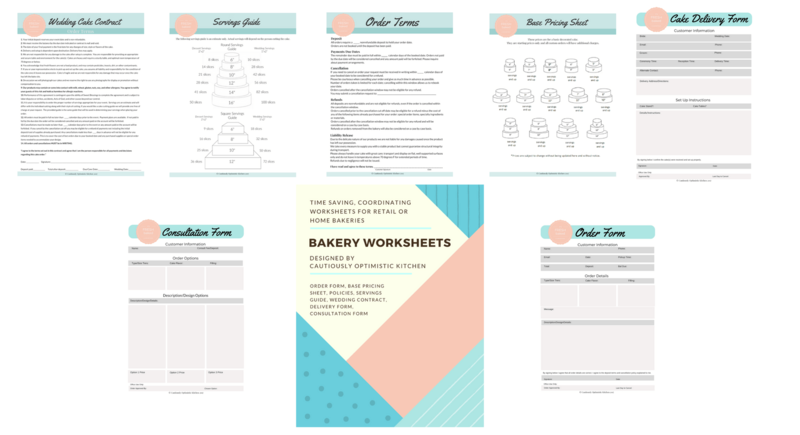 You may download and reprint as many copies of all worksheets as needed in either packet option.